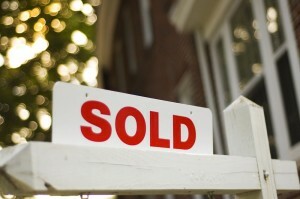 If you’re reading this you’ve probably chosen to sell your house or small apartment building to Quick Home Offers. You’re on your way to receiving your check! We’ve created a mini-guide to selling so that you know what to expect. First, we need to get a little more in detail about your property. This usually takes about 15 minuets over the phone. This will help us craft an offer to meet your needs. We usually give our clients a range of where our cash offer will be or terms at first. If you like it, great! We will move forward and send you an agreement and set up a time to do a walk through. We always send the agreement to an escrow company to oversee the transaction. Usually, we only need to come visit the property once. We may, on occasion, need to see it twice. If everything is consistant with what you told us over the phone we are one step closer to closing! Escrow at this point will send you some paperwork. Once we get that back from you we can close! This entire process usually takes about a week. We can, however close faster if need be. We are very flexible. Once the deed is recorded your check will be ready and you’re good to go!